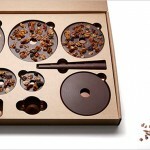 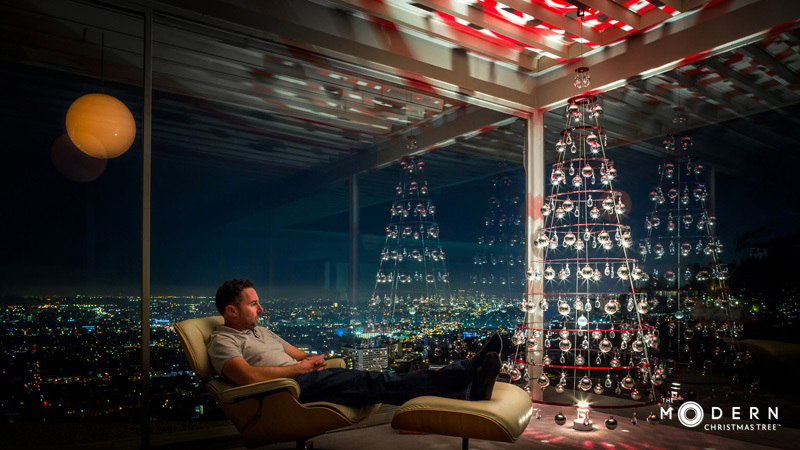 Last year, we introduced you to The Modern Christmas Tree. 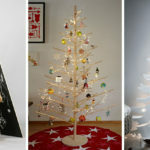 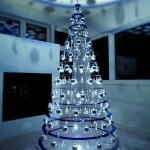 Originally designed by Lawrence “Bud” Stoecker in the mid 1960’s, The Modern Christmas Tree is made from concentric acrylic rings and decorated with chandelier crystals and ornaments. 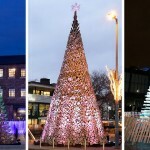 In recent years, the trees have been brought back to life by Stoecker’s grandson, Matthew Bliss, who began offering them to the public. 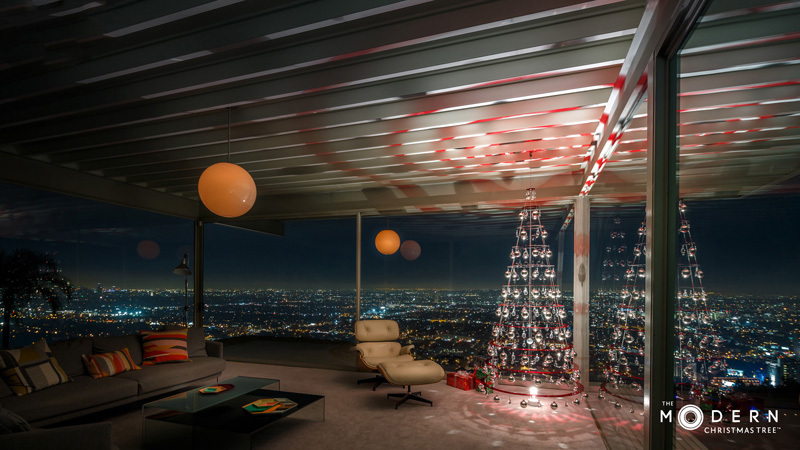 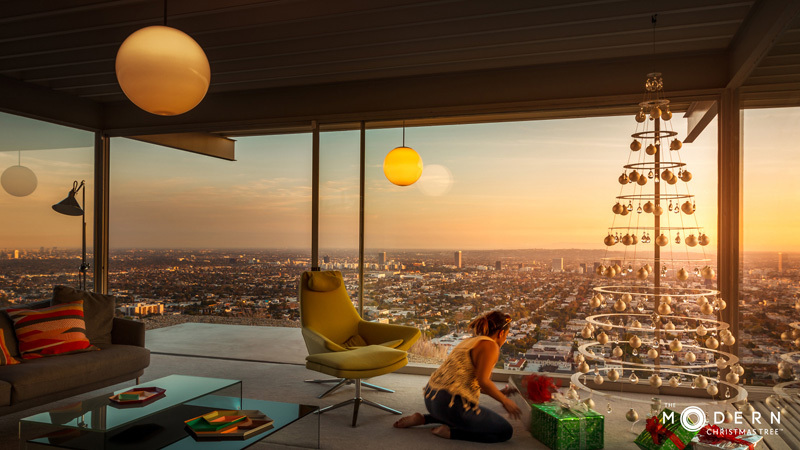 In a marriage of two classic modern designs, the legendary Stahl House, located in the Hollywood Hills, overlooking the Los Angeles skyline, hosted The Modern Christmas Tree for a photo shoot, which Matthew has shared with us. 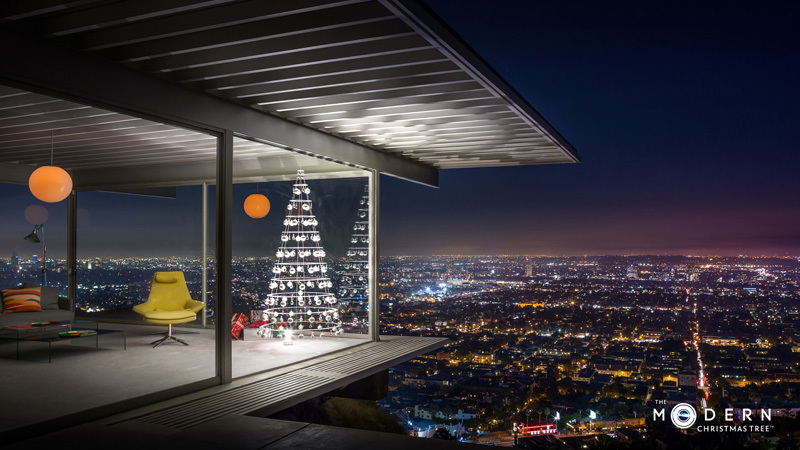 This legendary Los Angeles home was the dream of Buck and Carlotta Stahl, who with the help of architect Pierre Koenig, created a mid-century modern masterpiece that is still owned by the family today. 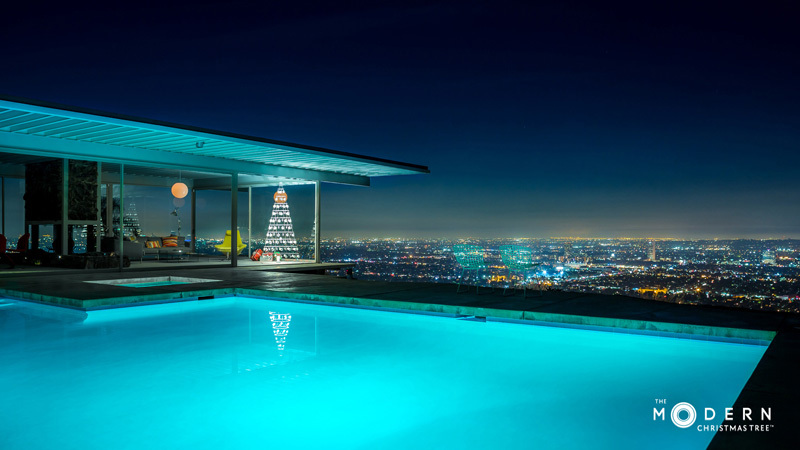 This home was later immortalized by the great architectural photographer Julius Shulman in 1960, the photos of which have been viewed by millions of people throughout the world.